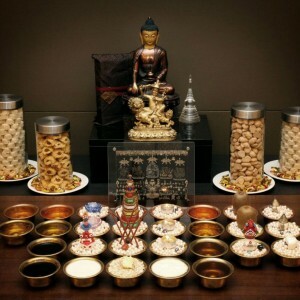 One of the objects recommended as part of the basic set-up of a Buddhist altar is a representation of the Buddha’s speech in the form of a Dharma text. 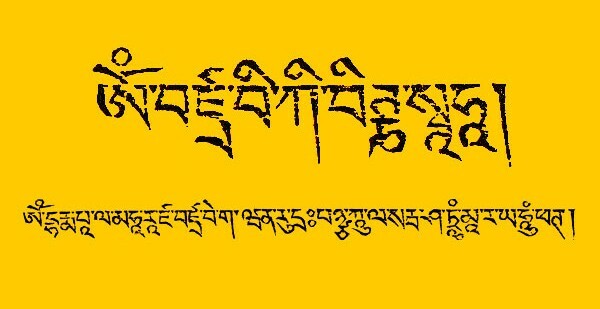 The inclusion of a Dharma text reflects the importance of knowledge, and also of speech and sound in the attainment of Enlightenment. Not only are Dharma teachings a form of sound that can benefit the practitioner, but mantras too have this same benefit. Mantras are a specific combination of sounds that encompass the essence of the Buddhas and, when recited, tap into the energy of the enlightened beings. Sounds have the power to create or destroy. In Hindu mythology for example, the primordial seed syllable AH is the syllable of creation which, when uttered by Brahma, created the whole universe. It is commonly described that AH is the first sound a sentient being makes when born as they gasp for air, and also the last sound a sentient being makes as they pass away to take rebirth. Further evidence that confirms the importance of sound can be found within Buddhism itself. 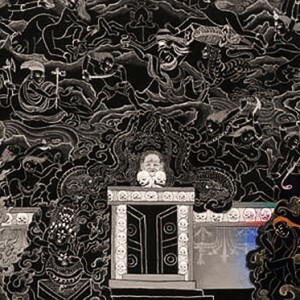 The Arya Manjushri Nama Sangiti prayer for example, describes how the fully enlightened one arises from AH. There also exists in Buddhism pujas like Mikhai Dogyur (mi kha’i bzlog bsgyur) to counter specifically the effects of negative speech, criticism and bad talk by those who have a negative view of us. Practitioners are also encouraged to recite out loud, just enough so they can hear themselves because the chanting of mantras produces a vibration in the air which reverberates throughout the body, resulting in a regenerative effect. 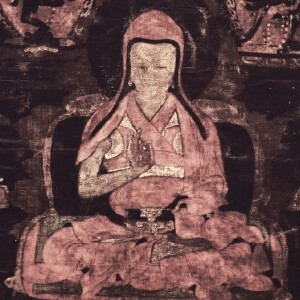 Not only do mantras have this type of beneficial outcome, but reciting mantras helps us to create a closer connection with the Buddhas. In chanting the prescribed syllables repeatedly, coupled with a good motivation, the practitioner creates positive karma and strengthens one’s affinity with the Buddhas. Mantras are therefore a powerful, effective way of connecting with enlightened energies. 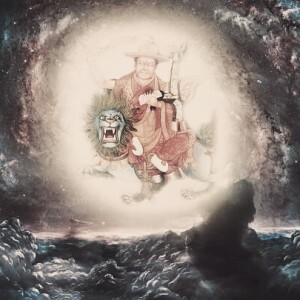 Below are a collection of mantras related to Dorje Shugden, his entourage and his lineage which can be recited anytime and anywhere, as a standalone practice or in combination with one’s daily prayers (sadhana). Initiations are not necessary for the mantras below, and they can be recited as many times as wished. Invokes the benefits of the pacifying emanation of Dorje Shugden. Results in a peaceful environment, stable mind, harmony in one’s environment and home, and pacification of disasters. Invokes Dorje Shugden’s blessings for long life, healing and protection from diseases. Invokes Dorje Shugden’s blessings for accumulating tremendous merits and increase of all necessary spiritual and secular resources. Invokes Dorje Shugden’s blessings for influencing friends towards the positive, and control over worldly deities, negative people and nagas. 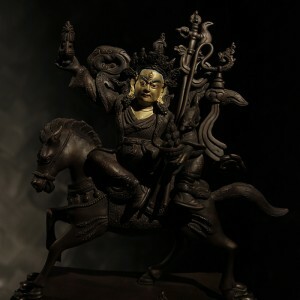 Invokes Dorje Shugden’s blessings for the destruction of obstacles, and outer and inner ‘enemies’. Invokes Dorje Shugden’s blessings for the attainment of common and uncommon siddhis. Invokes Dorje Shugden’s blessings for the attainment of uncommon attainments. Invokes Dorje Shugden’s blessings for protection in dangerous situations, while travelling or while residing in hostile places. As you recite the mantra, visualise you are in the Protector’s mandala, fully protected from all external obstacles and interferences. I have heard there are different mantras that is cater to our different need, but most of the time, we do not know where to find a suitable mantras to help us to overcome our problems, this article has explained very detail and clear. 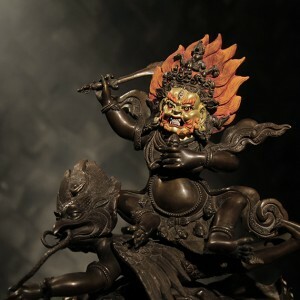 Dorje Shugden is very powerful in helping us to overcome difficulties, I have personally experienced it, and now, I learned so many more mantras of Dorje Shugden, so in future when I have different problems, I will know which mantra is best to help us overcome it. Thank you webmaster for putting so much effort in researching and provide us such useful article. Mantra has been used since time immemorial an invocation of the deities that one is reciting, it is also helps one to achieve a stage of one- pointedness a process of subduing the thinking mind and bring it to a higher state of conciousness which is also known as our true nature. We have lost all these pure state of mind in our transitionary migration from one body to the next because we are unable to loose the bad karma picked up therefore mantra is one of the ways to prop us up and to tap on this lost prized possession that is inherent in us. 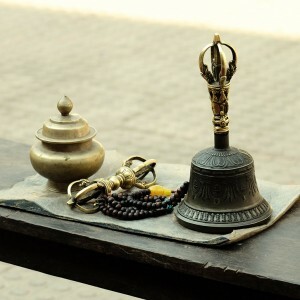 Mantra is also use as a way of slowing down our thinking mind and redirect it to positive thoughts by directing our mind while chanting on the supramundane deities and tapping into their energies. I have personally chanted on many occassion Dorje Shugden’s mantra ‘Om Benza Wiki Bitana Ayu Siddhi Hung’ and result in many of my bodily pains easing away. I would usually visualize if time and space permits that Dorje Shugden hands are placed on the pain area and soothing the pain with his energies. I must admit that it really helps me with the pain that I had for many years. I would not say that it has totally disappeared but it has lessen somewhat. Therefore, I would urge those to try out the mantras above for whatever situations you may be in, simply put, just believe it and it will work for you. This is fantastic, so much information and explanation on DS mantras. Thank you Rinpoche for the article, its very helpful and useful. When I was new to Buddhism, the mantra I recite was mantra of Lord Shakyamuni, Dukkar and Lord Setrap. Later I learnt about mantras of Green Tara, Lama Tsongkhapa and of course Rinpoche’s mantra. For starting I recite only mantras, while I was driving or at home; and more than five mantras I was reciting daily. When a dharma sister found out about this she advised me to do Lama Tsongkhapa’s Guru Yoga daily, and insert all the mantras I was reciting at that time. I found that is very beneficial, to stabalise one’s mind, emotion and concentration in daily life. Later I start reciting Dorje Shugden’s mantra as well. From my experience I would say if one yet to establish the regular schedule to do daily sadhana, starting by reciting mantras of deities you feel close to would be a good one. When one is able to recite the mantra daily and it becomes part of our life or has been established, then engage in a daily sadhana would be better. Mantra is the powerful words combination that encompass the energy of the Buddha. When recite with correct motivation, one can invoke the blessing of the Buddha by tapping into the energy of the enlightened beings. Besides that, mantra has the power to create positive karma and to strengthen the connection between us and the Buddha. We are therefore very fortunate to be shared with this collection of mantras related to Dorje Shugden, his entourage and his lineage which can be recited ANYTIME and anywhere. This is very important to note as no initiation is required to begin the recitation of any of the mantras shared here. And they can be recited as many times as wished. How lovely! Thank you for sharing this collection of mantras. Mantras are very powerful and when recited out loudly will be able to bless and protect us. When we go on a retreat, we recite the mantras which will help move our energies so that we can absorb more. That is why Rinpoche advises us to do retreat in KFR. I personally find that after a retreat in KFR, my mind is clearer and will be able to focus on my day to day work after the retreat. It also stabilises my mind and help clear obstacles. Definitely a powerful experience. 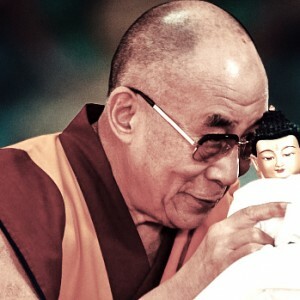 “Mantras are a specific combination of sounds that encompass the essence of the Buddhas and, when recited, tap into the energy of the enlightened beings.” – This is what i like about Tibetan Buddhism, as simple as chanting the mantra, we can connect and have close affinity with Buddhas. 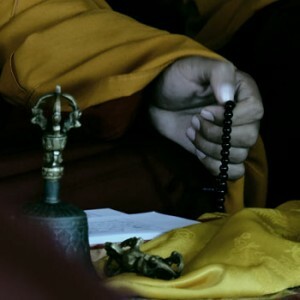 In Tibetan Buddhism it is believed that by chanting mantra, it is a form of healing using the sound, frequency and the vibration that moves our “Qi” (气）in our body. The healing mantras or any sorts of mantra are able to balance and align our Chakra. There are 7 main chakras in our body. There are so much studies done in Tibetan and Hinduism how sound can effect the chakras in our body. In Chinese tradition, we believe that when we are sick, it’s the Qi that is not moving smoothly that cause blockage in our body. Hence that’s the reason why we have many sorts of healing mantras to help us to clear our body obstacles that arose from our negative karma. 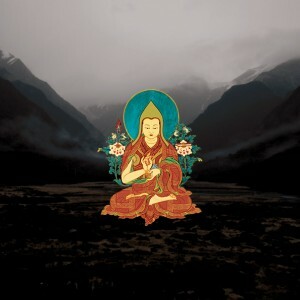 Every Buddha has got their own mantra, mantra is the sound representation of the Buddha deity, by reciting the mantra, we are building a connection with the Buddha deity and invoking their blessing for specific function. In Buddhism, there are many different Buddha deities, each deity manifested for different functions like how we have different medication for different health condition. Certain obstacle, for example health, we have different deities manifested to counter this it for instance, Medicine Buddha, White Tara, etc. Very similar to the pain killers, we have different types of pain killers all do the same job, ie to ease the pain. Then you ask, since there are so many mantra for health, which one should you recite? Recite the one that you have the strongest feeling to. Be consistent and persistent with the mantra recitation, you will see the benefits. Before realizing there are other mantras in buddhism, I only know one common mantra that people usually recite – Om Mani Padme Hum. Until I start joining puja, I learn reciting mantra of Setrap, Medicine Buddha, Lama Tsongkhapa and then Dorje Shugden. Each mantra are powerful and giving tremendious effects on inner and outer transformation. Mantra recitation also helps us to achieve inner peace by taking control our mind and emotion. Thank you for sharing various mantras with its benefits clearly explained. Hope it help for those in need as how it help me. 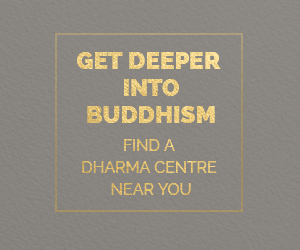 By having a good motivation and do the daily sadhana consistently, chanting for mantras are become more powerful, effective and strong connection with the Buddhas. We can recite these Dorje Shugden mantras for blessings and protection in many ways. 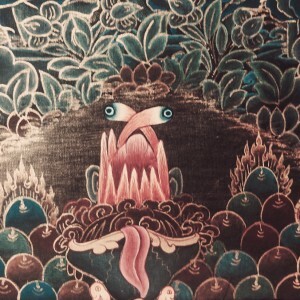 This is a very good article to explain on Dorje Shugden mantra. Many a time many people do not understand why we need to recite mantra and the importance of it. Mantra is very powerful to help all of us especially when we are faced with obstacles. Reciting mantra will also strengthen our faith and affinity with Dorje Shugden. “Mantras are like acupuncture needles, except we use sound to clear the “qi” passages of our body.” – His Eminence the 25th Tsem Rinpoche. Thank you for having such a resource for us to refer to which mantras we can do, specific to what we need. Reciting mantras calms me down, and I am sure, heals me too. Often, after retreats where we recite thousands of a specific mantra, my mind feels calmer, and body, lighter. 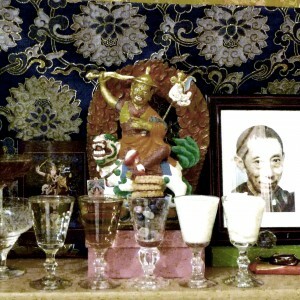 Rinpoche also encourages us to recite mantras and blow onto animals, to bless them, and create strong imprints for them, and also so that the holy sound of the mantras can travel through the environment, embed itself onto the walls, the surroundings, and blesses the place that we are in. I have never underestimated the power of mantras, because on a very personal experience, I see the difference in my own mind and memory, when I recite mantras after a prolonged period of time, and when I don’t. 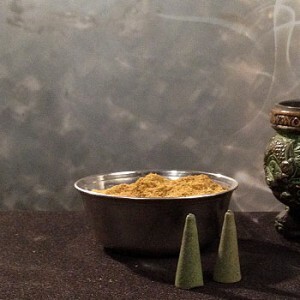 I grew up chanting mantra from my beloved granny ,but not understanding much about it and the benefits until i joined Kechara and noticed it really has helped me in unexpected ways sometimes. I find that Dorje Shugden mantras can help me find some answers when i feel lost and confused. I have also been practicing Green Tara mantra which also helps me to remove obstacles and so on. Mantras also helps me to calm my mind when suddenly i feel very uneasy at times. This is such a special collection of mantras. 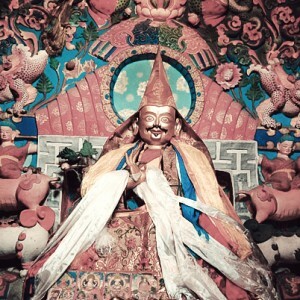 All the mantras of Dorje Shugden is here as well as the Guru mantras. Before this, I only knew of a few mantras. This is such great reference material. I like the explanation given as I now know the meaning of AH and the meaning of each mantra. 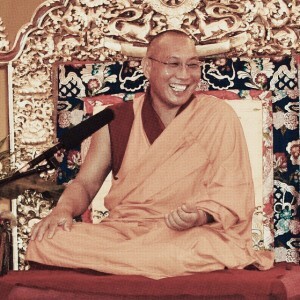 Now, I can access the right mantra for the right situation and right lama. I was such a ignoramus!! It is interesting to learn that AH is the syllable of creation which, created the whole universe when uttered by Brahma, according to Hindu mythology. I did not even realise that AH is commonly described as the first sound a sentient being makes when born as they gasp for air, and also the last sound a sentient being makes as they pass away to take rebirth. 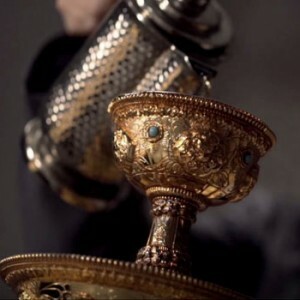 1) It has a regenerative effect. 2) Helps us to create a closer connection with the Buddhas. 3) Coupled with a good motivation, it creates positive karma and strengthens one’s affinity with the Buddhas. Great, informative post. Thank you! On August 14th my wife decided to take a lifelong vows to refrain from eating meat, my daughter who is a vegan for some time but has not taken any vows decided to do so on that day , my sister in law also join in by taking a twice monthly vows. The initiation was held at kechara house gompa and Pastor Adeline was very compassionate despite her very tight schedule to conduct the blessings ceremony. Pastor also chirped in that this decision will help us in our life such as having a life with lesser diseases and probably a healthier and longer life span and a very much lighter body. I took this opportunity and decided to take a one year vow, there are some who asked on scorpion being added to Chinese medicine and whether it is allowed but Pastor was very adamant and uncompromising in her answer and I would agree with her that it was an immature request as we cannot bargain especially we are invoking the presence of the enlightened to witness the ceremony. It all went well and Pastor prior to the event requested my mother in law who is in her eighties and mid stage of Alzheimer to be present for blessings. My mother in law stays with my sister in law who works 12 hours daily and my mother in law would be all alone in the house in addition she is also on medication for her heart . I believe she does it as a form of escapism and in denial mode therefore she would sleep until 3.00 pm daily and sometimes if we want her to wake up early she would cry and refused to even look at us. My wife on the eve on the ceremony and after our volunteer work at Kechara Soup Kitchen when at home she sat in front of the altar started to chant and prayed. On the ceremony day my mother in law woke up early, bathes herself, had her breakfast and was pretty enthusiastic when told about going to gompa. During the blessings by Pastor she also dutifully sat in front of Pastor Adeline for blessings without making much excuses. I must sincerely thank Pastor Adeline from my heart and also on behalf of my family for her constant guidance, listening attentively to all our grouses, troubles, emotional hiccups and will always offer advice on how to go about our life. Pastor was very confident that if we do direct dedication and transfer the merits it would really help the situation and my mother in law case proved that mantra, prayers work effectively when done with devotion and love. We have strong faith in Pastor Adeline and would continually support her in whatever ways we can. Thank you His Eminence Tsem Rinpoche and Ds.org for sharing with us all these mantras that serve different functions and benefits. This article will be able to help anyone who has difficult circumstances. i’ve jet began the pratice , and very soon collected good results! !